location to the next level. Ready to work with an industry leader? It's time to take your foodservice seriously! 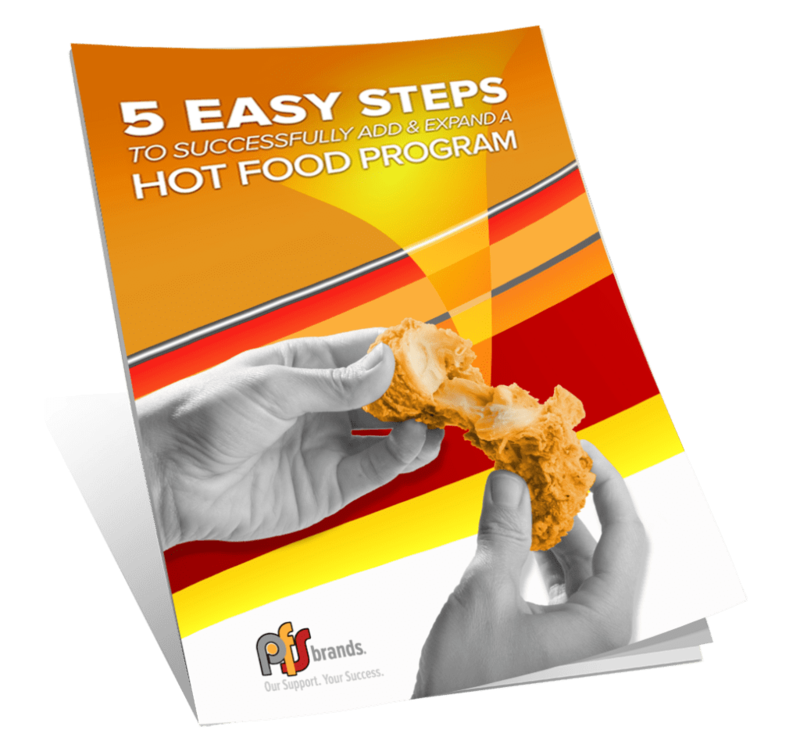 Learn how to successfully add or expand a hot food program in your c-store in 5 easy steps with our comprehensive guide. 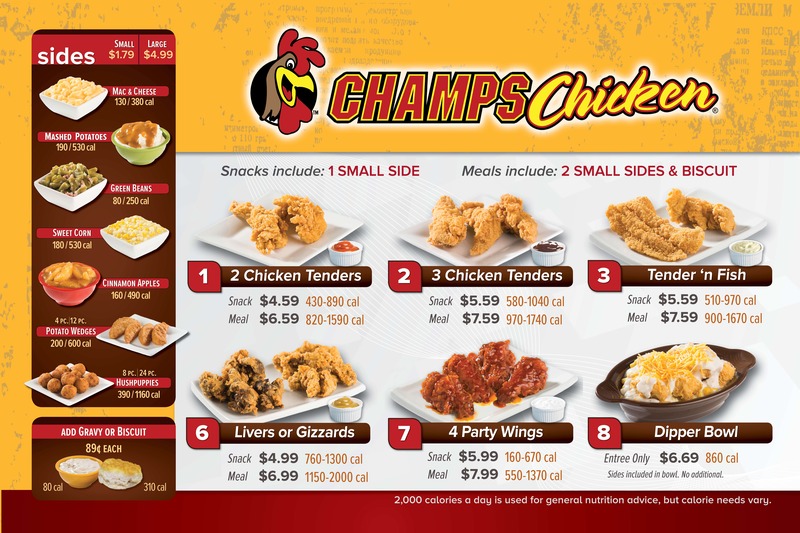 Interested in a Champs Chicken franchise at your grocery or cstore? What about the 90 day money back guarantee? Today PFSbrands fried chicken franchise and flagship brand — Champs Chicken — has turned into one of the industry’s fastest growing, major food service programs and fried chicken franchise in 38+ states and counting located in convenience stores and supermarkets across the nation. PFSbrands has grown at a remarkable pace, being named by INC. Magazine as one of America’s “Fastest -growing, Privately-held Companies” for 9 consecutive years. This rapid level of growth can be attributed not only to the appeal of Champs Chicken’s food quality and taste, but also to the ever expanding levels of support the company provides its retail partners. 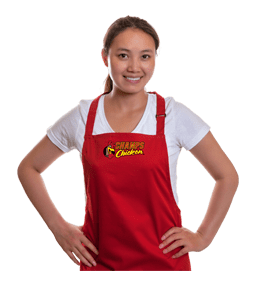 Learn more about Champs Chicken Franchise Opportunities here. With over 400 locations coast-to-coast and our expert marketing team, your location will have the recognition power of a national brand. The company does not charge many of the fees that come standard in the industry. So, our “Business-within-a-Business (BWB)” retail partners pay NO upfront franchise fees and NO ongoing royalties. Where many brands charge their retailers 2%-5% to cover advertising fees, PFSbrands flips that one around. The company banks up to 6% of a retailer’s Champs Chicken product purchases on behalf of the retailer in a special Marketing Development Fund (MDF). The retailer will then be able use these manufacturer-provided monies to underwrite approved local advertising activities designed to increase their Champs Chicken sales to consumers. Two of three Champs Chicken partner levels (silver and gold) can also earn additional annual Volume Incentive Rebates in the amount of .5% to 5.0%. GOLD: We similarly bank a full 6% of your Champs Chicken purchases. Plus, we grant you an Upfront MDF Pool of $1,000 to get you started in a big way. SILVER: We similarly bank 3.5% of your Champs Chicken purchases. Plus, we grant you an Upfront MDF Pool of $500 to get you started. This program is reserved for Silver and Gold Partners only. So long as you purchase a minimum of $80,000 per calendar and grow your purchasing volume by 2.5% year-over-year, SILVER partners earn a cash rebate of a 0.5% to 2.5% of their calendar year purchases depending upon volume. Similarly, GOLD partners earn a cash rebate of a 1% to 5% of their calendar year purchases again depending upon volume. Your Business Developer will provide you with further details on our VIR program, which can drop additional profits straight to your bottom line every year. 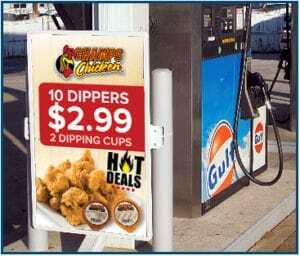 Throughout the year, the company releases a National Promotion to all of its Champs Chicken retailers with aggressive retail price points that are supported by case rebates on the promoted products. These Limited Time Offers (LTO’s) with their aggressive retail price points still provide excellent profit margins for the retailers who opt-in. Historically, the promotions are generating 50% or more in sales growth for the promoted products for participants. Now, the company is sending consumers (who register online) advance email notifications of our LTO’s and suggest they visit their local Champs Chicken retailer by name. 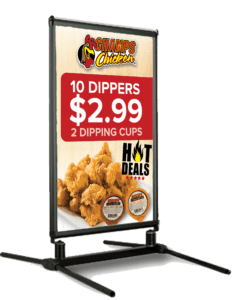 These key items will brand the Champs Chicken hot food program in your store and help you grow your sales and profits. It is the same small investment for every new store regardless of program level you choose. The package will make you more successful from day one!